Lacquer Lockdown: Hot Off The Stamping Press: MoYou London Rocktar Collection Expansion! 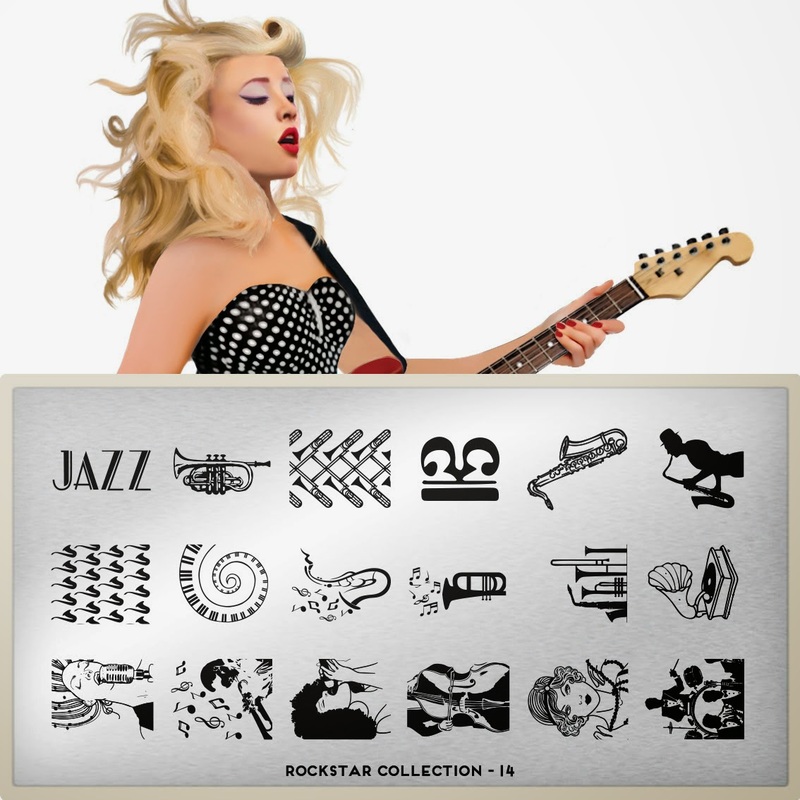 Hot Off The Stamping Press: MoYou London Rocktar Collection Expansion! It's that time of the week again where MoYou London releases another set of plates for us to drool over! This weeks release is from the Rockstar Collection which debuted sometime around January or December of last year. I grabbed all of the plates included the ultrasuper duper limited edition plates. This was also back when MoYou London was still a relatively new kid on the block. These days as you know they have solidly established themselves and taken the stamping world by storm, and my wallet by hostage. Club kids hit the floor lol. I can see this plate being very popular. Personally I just think it looks fun!